Bicycle spokes are usually made from stainless steel, aluminium or titanium. But a company from Chemnitz is taking a different path – and weaving ultra-light braided spokes from polyester fibres. There aren’t many cycle paths these days, where you are not overtaken by carbon bicycles that whiz past. In the sport of professional cycling, this composite fibre material has now taken the lead over almost all other materials because of its feather-light weight and robust strength. Their principle being: the only good gram is one you’ve managed to save. But, time and again, when looking at professional wheels, the expert eyes of engineer Ingo Berbig came to rest, with a degree of suspicion, on the spokes, because they are often still made of metal. 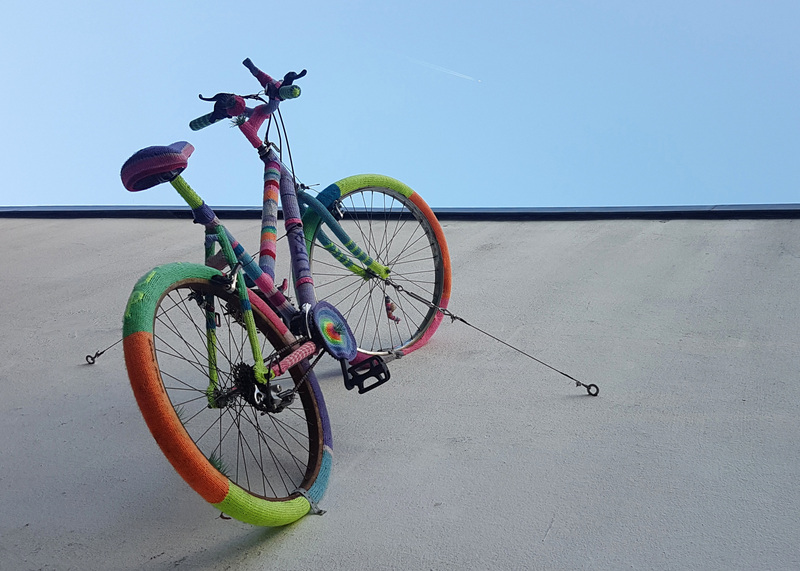 As a scientific associate at the Technical University of Chemnitz and working together with other colleagues, he began to develop the idea of a super-lightweight bicycle spoke made from braided polyester fibres. 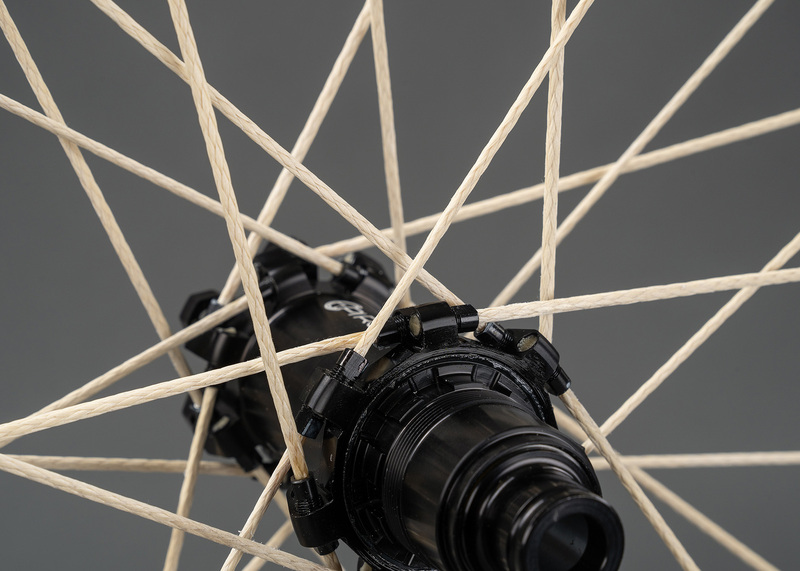 At 2.2 grams, not only does the spoke weigh little more than a sugar cube, but, importantly, it weighs significantly less than its equivalent in steel (4-6 grams). Yet it is said to be capable of withstanding loads of up to around 6,000 newtons, without giving way. Steel spokes, on the other hand, already begin to behave differently at 2,500 to 3,000 newtons – and can even break. Whereas breaks in braided spokes are supposed to be pretty well impossible, even at extreme loads, the developers reassure us. Because the fibre spoke achieved excellent test results and has been well received by aficionados of the sport, Berbig got on his bike and left the scientific laboratory in 2017, in order to set up the Pi Rope company and to launch the textile spoke onto the market. “We achieved commercial production capability this year,” says Berbig, who has been active in the cycling world for almost 30 years – first as a competitive rider, then as a trainer. The high-strength polyester fibres for the spokes are supplied by the Japanese company Kuraray. With 8,300 employees worldwide and an annual turnover of some € 3.2 billion, they are one of the largest suppliers of polymers and synthetic microfibres. Berbig and his team weave together over 7,000 individual fibres – or, in other words, 24 separate yarns – to produce a single spoke. They currently produce between 300 – 600 a week, a figure that is set to increase in the future.